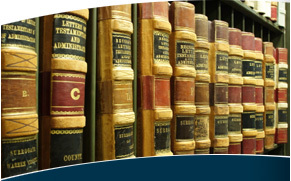 The attorneys of Johnson Legal Network have practiced in the area of commercial recovery and litigation for two full decades. Richard Johnson and Karen Irving have experience with thousands of commercial recovery matters, ranging from all phases, beginning with initial lawyer-to-debtor contact, negotiation and collection, through full-scale simple and complex commercial litigation. Johnson Legal Network has developed a network of attorneys in 40 states and abroad, who regularly assist our clients with commercial litigation. Johnson Legal Network provides a one-stop focal point for your company's commercial recovery matters. We offer a turn-key commercial collection process. Once a case is turned over to us, we see it all the way through, and provide national service, by managing commercial litigation conducted by our wide-ranging local counsel network, in all areas of the United States, and elsewhere. By offering competitive, cost-efficient fee structures for commercial recovery and litigation, Johnson Legal Network can enhance your company's bottom line.